Europe has decided to follow the lead of the UN, which recently hit Pyongyang with its toughest restrictions yet. 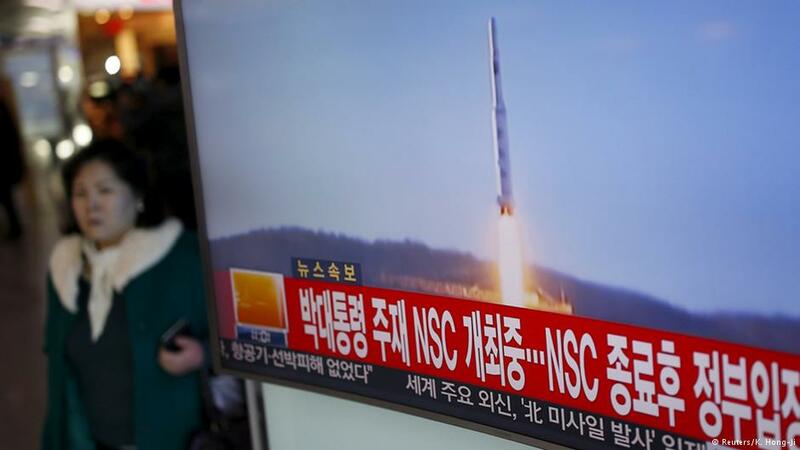 The reclusive nation refuses to adhere to a Security Council ban on its missile program. The European Union adopted new restrictions against North Korea on Friday. The move came in protest to missile tests carried out by Pyongyang that flouted UN resolutions forbidding development of the country's nuclear program. The new sanctions include a ban on importing any petroleum or luxury products from North Korea and prohibit selling anything to the regime that could be used for military purposes. Additionally, no aircraft or ships coming from North Korea are allowed to enter, use or fly over EU territory. A further tightening of restrictions on investments in North Korea and a ban on money transfers were also part of the new raft of sanctions. "The EU decided to further expand its restrictive measures targeting the DPRK's nuclear, weapons of mass destruction and ballistic missile programs," said an EU statement, referring to the country's official name, the Democratic People's Republic of Korea. The 28-member bloc was following the UN's lead. The UN Security Council imposed its toughest sanctions yet on Pyongyang in March. The UN move was also a response to continued nuclear and ballistic missile testing. Diplomatic relations between Europe and North Korea were nominally established in 2001 but remain minimal. The bloc first imposed sanctions against the isolated country in 2006. Earlier on Friday, Pyongyang startled the international community when it threatened to retaliate after South Korea fired what it said were warning shots on two vessels from the North. Seoul said that a patrol vote and fishing boat had crossed the disputed maritime border between the two countries.